A guy walking his dog doesn’t normally get my attention. I can’t say why this one does except that I’m pretty sure it’s the guy from around the corner who lives alone since his wife moved out, whose dog is always howling because it never gets walked, at least not on this street. And the way he’s walking. One foot in front of the other at a regular pace, sometimes looking up, sometimes not—all very ordinary. Yet. There’s something. It doesn’t feel like an ordinary walk, it feels like something has changed, or is is about to change, like he’s walking at this end of the street because he’s lived around the corner for ten years and is kind of sorry he’s never talked to anyone, or walked his poor howling dog more often. Like he wants to see what he’s been stupidly ignoring all this time. Maybe he’s decided to change his ways and this is the beginning of a new habit; maybe he’s looking for someone to say hello to. But it doesn’t feel like a beginning. It feels like a goodbye walk. I forget about it for the rest of the day. 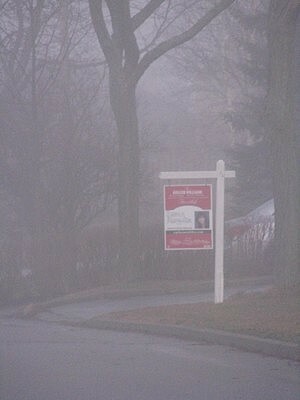 And when I come home, as I turn the corner, I see a For Sale sign on his lawn. Grandchildren visit next door and the grandma (a dear woman who feeds the neighbourhood stray and whose husband built it a beautiful shelter on their deck, complete with sheepskin blankets and insulation done to code) shouts her happiness across the front lawn. Later the youngest plays basketball on the driveway, bouncing the ball more than shooting, while a girl does cartwheels on the grass. The lad across the road is all grown up now. Must be nearing thirty. He lives elsewhere but comes home often and today he and a few pals bring out the nets and sticks and play some ball hockey, just like they’ve been doing for the past twenty years. Just like no time at all has passed. The new people next to the ball hockey crowd have kids so young they ride bikes with bright orange training wheels and in the morning the boy stands at the edge of his lawn, facing the street and chirps loudly like a blue-toqued, green-sneakered rare bird and I’m reminded again of the genius of kids. And wonder when we lose the impulse to greet the day with a song only the wildlife will understand. < Previous what’s the story? ?